Around 5:30, as I was driving on the outer loop of I-495, I saw what looked like a smaller second sun to the right of the Mormon temple. 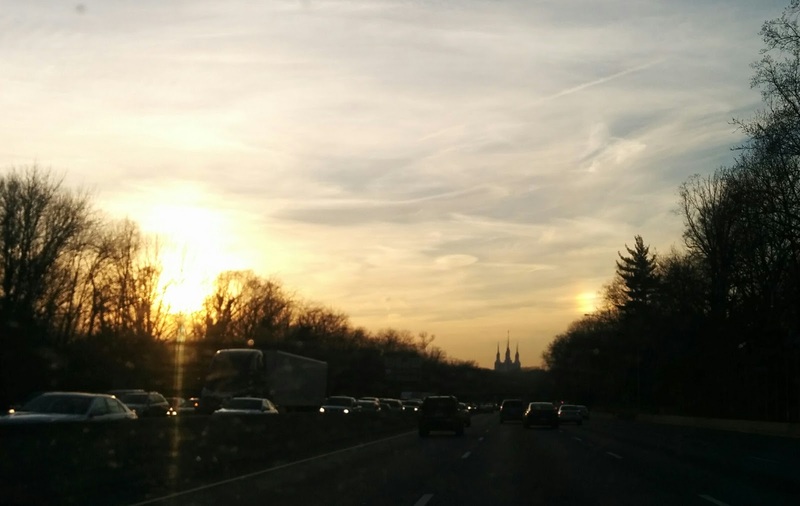 A bit of research later (and some help from friends) and I see the effort is called a parhelion, or "Sun Dog". Most of the pictures you see of this effect are better defined than this one. You can't see it in the picture, but in reality the bright spot had a rainbow shimmer to it.